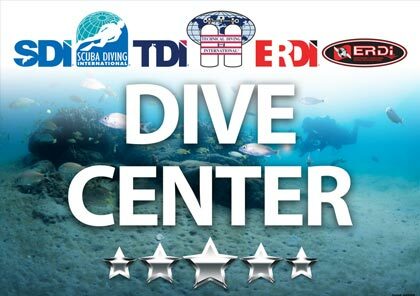 You can email us at instructor@thescubaschool.com OR you can call us (501) 289-6500 OR you can write to us at 116 E. Railroad Ave, Morrilton, AR 72110 USA. The Scuba School maintains the right to modify these terms and conditions of use without notice. However, at our discretion, we may do so by posting notice of such modifications on this page. Any modification is effective immediately upon posting unless otherwise stated. Your continued use of the site signifies your acceptance of such modification. You should periodically visit this page to review the current terms and conditions of use. We rely on the accuracy and currency of content furnished by other sites, agencies and organizations. Neither the Scuba School, nor any agency, officer, or employee of the Scuba School, warrants the accuracy, reliability, completeness or timeliness of any information published on, or linked from thescubaschool.com, nor endorses any products or services linked from this system, and none of them shall be held liable for any losses, damages or injury caused by reliance on the accuracy, reliability, completeness or timeliness of such information. Portions of the information may be incorrect or not current. Any person or entity that uses or relies on any information obtained from this system assumes all risk of using or relying on any such information. All images and text on thescubaschool.com are the intellectual property of the Scuba School and protected by applicable laws. Republication or redistribution of this content, including by framing or by similar means, is expressly prohibited without the prior written consent of the Scuba School. We monitor network traffic to identify unauthorized attempts to upload or change information or to otherwise cause damage to the site. By using thescubaschool.com you are consenting to such monitoring. We reserve the right to use any legally appropriate measures to prevent and investigate anyone attempting to modify, deface, delete, or otherwise tamper with or abuse the Scuba School server, database, information system or other technology asset. Any person who uses these systems or attempts to gain access to information or materials on these systems is subject to the jurisdiction of the State of Arkansas. Any dispute arising from a person using or attempting to use information or materials shall be resolved in accordance with Arkansas laws and in the courts of competent jurisdiction in Conway County, Arkansas.